The glass bottle house built by Olga Queen, from Novoshakhtinsk, Russia is a fine addition to our hefty collection of glass bottle architecture, which already includes various bottle houses and a unique bottle temple. 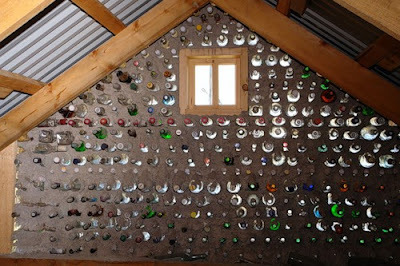 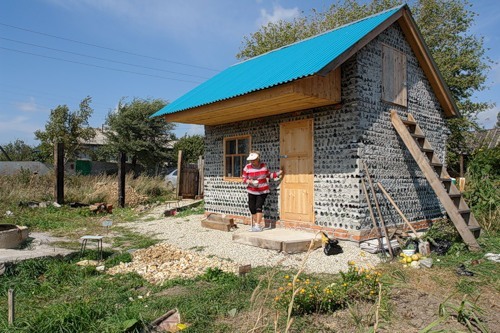 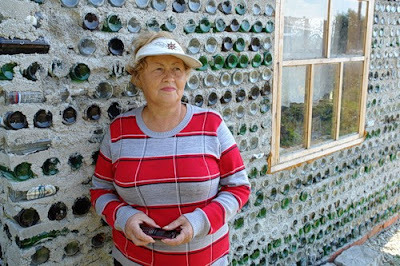 In an effort to build herself a house out of cheap and environment-friendly materials, Olga Queen spent six months collecting glass bottles, around her home town of Novoshakhtinsk. 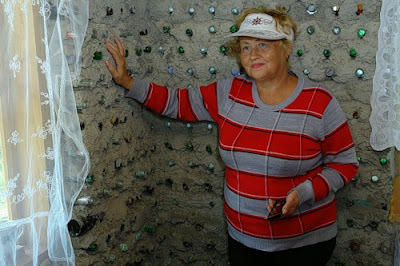 She managed to gather around 5,000 of them, which proved enough to build her very own little dream house. 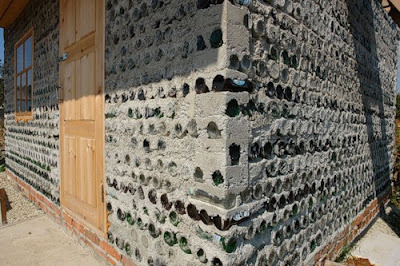 Using some wood for the framework and concrete to fix the bottles in place, she manged to finish construction and is now ready to move in. 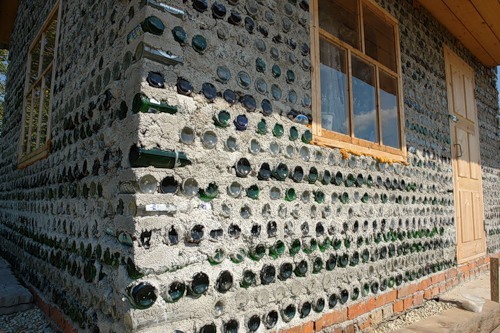 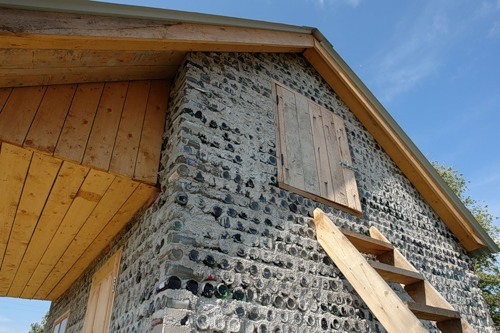 Glass might not seem like the right material to use when building a house, especially in a place like Russia, but the air trapped in the bottles actually provides great insulation. We’ll just see if Olga makes it through the winter in her little glass home.